What do you want on the Well Mother Blog? Hello to everyone. I am posting the first Well Mother Blog to get the discussion going and find out what you would like to talk about on the Blog. The idea is that it is like an interactive newsletter. For the moment I will be the only one who can post things: but if you enjoy posting and have topics that you want to discuss then email me and I can consider adding you in to post things. 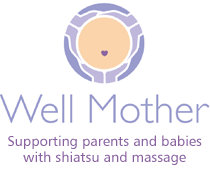 I hope that people who have attended my courses will make comments on posts and also that perhaps clients might also like to share their experiences of maternity bodywork, or other related topics. It is an open Blog. So look forward to hearing what you want.